In a division problem, the divisor is D, the quotient is Q and the remainder is one-third of the divisor. 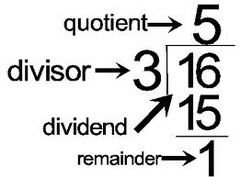 What is the dividend ? The input file contains only 2 integer numbers D, and Q (D<=4000, Q<100). Output will show the one integer numbers in a separate line.